North Central presidential director of Buhari/Osinbajo campaign organisation, Senator Abdullahi Adamu, has appealed to Nigerians not to succumb to plots by enemies of Nigeria to derail the country through the ballot as the 2019 general election draws near. Senator Adamu who represents Nasarawa West senatorial district at the National Assembly, made the call on Thursday in Toto, headquarters of Toto local government, during the flag off of the All Progressives Congress (APC) gubernatorial campaign in the state. He said the gang up against the government of President Muhammadu Buhari was a plot against the collective prosperity enjoyed under the leadership of the current administration. He urged Nasarawa voters to vote for the APC governorship candidate, Mr Abdullahi Sule, having seen what Governor Umaru Tanko Al-Makura had accomplished in the past eight years in the state. In his remarks, the APC governorship candidate, Mr. Abdullahi Sule, lamented that despite being christened “Home of Solid Minerals,” Nasarawa State was yet to harness and enjoy the benefits of its rich mineral endowment. Sule, the immediate past Managing Director of Dangote Sugar refineries, promised to deploy his experience in the private sector to take Nasarawa State to its next level of development. Northern Senators have sacked Senator Abdullahi Adamu as their chairman. 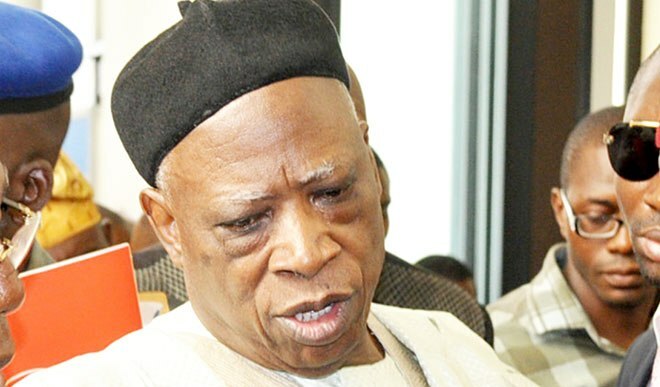 Senator Abdullahi Adamu was accused of mismanaging N70 million belonging to Northern senators.